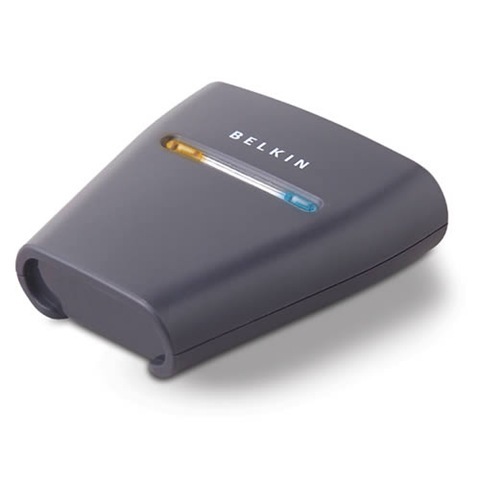 Belkin brings you Bluetooth technology, the fast and simple way to wirelessly connect your computing devices with your USB printer, eliminating the need for cables and physical connections. The Bluetooth USB Printer Adapter (the Adapter) adds Bluetooth technology to your existing USB printer, allowing it to connect with all devices enabled with Bluetooth v1.1 technology. Wirelessly print from your PDA, or desktop or laptop computer via Bluetooth. Simply connect the Adapter into the USB port of your printer and enjoy the freedom and flexibility of Bluetooth wireless technology. The Adapter easily attaches to the USB port of your printer. No software configuration is required-just connect to your printer and start printing! user manuals for the Bluetooth™ USB Printer Adapter here. is there a windows 7 driver for the belkin f8t031 printer adpater. or a bluetooth printer adpater to make my i960 canon printer wireless. thank you.